the trajectory and length, then you might not have the perfect set of partners. 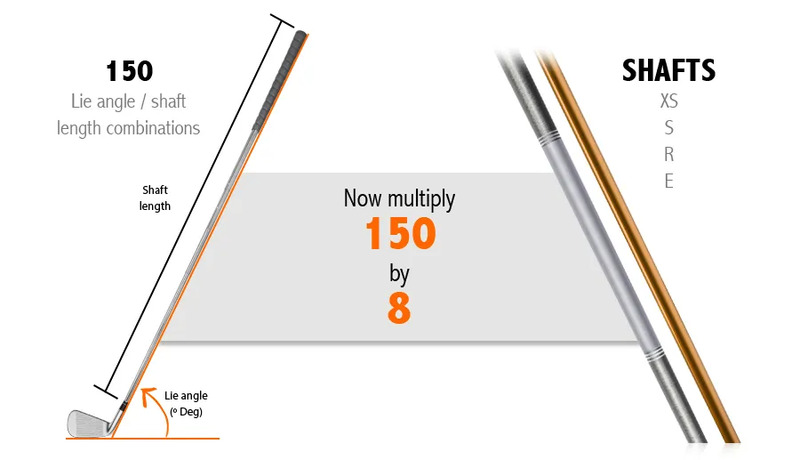 Having established your perfect lie angle / shaft length match from the 150+ combinations. and swing speed, delivering a good trajectory with a consistently square face at impact. That’s at least 2 shaft options (steel and graphite), each with 4 flex ratings. any model of Iron. Some of these will make golf easier. A few will make it much easier. are, make the game easier by playing with your perfect match.